My favorites from the list are the Topshop items (1,5) and I think the most value for money because they are easy to wear, to style and would already go well with my wardrobe. Also I have found that Topshop maternity is really great quality too. I bought some black culottes at around 10 weeks pregnant because of all the bloat and I loved them so much I ordered another pair and that has basically been my go to outfit for comfort and style and they still look great at 32 weeks pregnant! 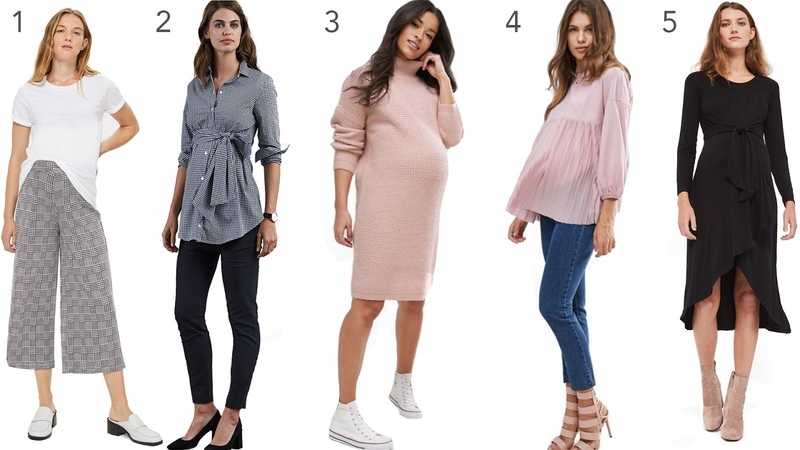 What have been your maternity favorites?